In Need of Mosquito Control? If you find yourself with a mosquito problem that needs to be controlled, Bug Guardian’s Barrier Spray Treatment helps blocks mosquitoes. We use a backpack sprayer designed for precise application, our technicians target shrubs and plants with a barrier spray that kills mosquitoes on contact and bonds to foliage. Within 30 minutes of spraying, your yard is ready for family and pets to come out and play. At Bug Guardian, we also inspect your property for larvae populations and treat them accordingly. Your technician will help you to identify potential mosquito breeding grounds in your yard and recommend ways to eliminate standing water. These notes will also be left on the invoice sheet at the end of the treatment. 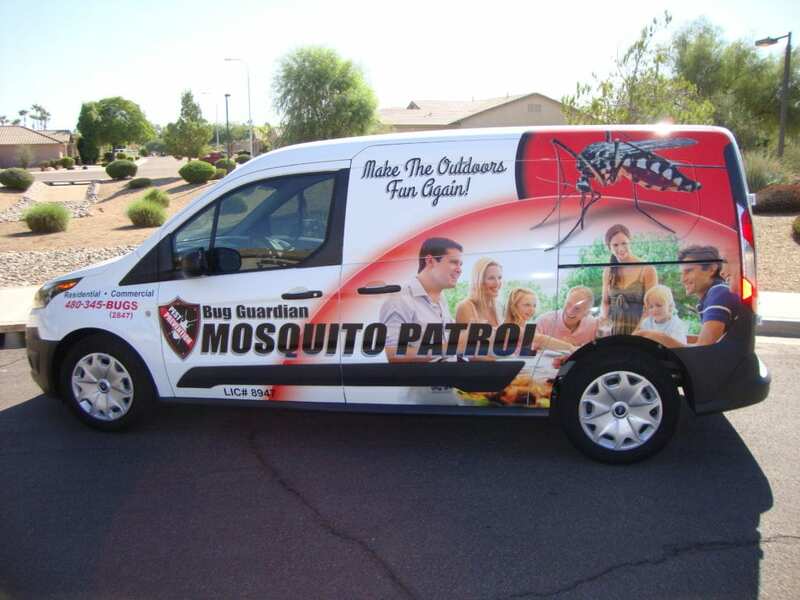 Need Mosquito Control for a Special Event? Are you having a barbecue, wedding, reunion, or any other activity that has you outdoors? These events should be remembered for good times not mosquito bites. Bug Guardian is here to help make the outdoors great again and keep the good memories flowing. Bug Guardian can come to your event and apply a Barrier Treatment that drys within 30 minutes, the Barrier Treatment ensures you and your guests stay mosquito bite free. News about Zika virus in the United States and around the world is spreading rapidly along with a concern for safety. It is more important than ever to understand the facts, preventative steps you can take to protect yourself and your family, and what role mosquito control services can play. News like this can be overwhelming and scary, but with help from the CDC, Bug Guardian Pest Prevention is here to help. WHY CHOOSE BUG GUARDIAN PEST CONTROL?